An arteriovenous fistula, or AVF, is an abnormal connection between arteries and veins in the brain. Normally, arteries and veins are connected by a complex system of smaller vessels called capillaries. When arteries and veins become connected without normal capillaries, hemorrhage (bleeding) and elevated intracranial pressure can occur, which can lead to strokes, headaches, and tinnitus (ringing in the ears). How do we diagnose an AVF? Magnetic resonance angiography, or MRA, is an important tool for diagnosing and following brain AVFs. MRA uses a powerful magnetic field to produce images of the brain. MRA is often used to diagnose or follow brain AVFs and allows physicians to better evaluate the arteries within the brain. MRA does not produce radiation and is not associated with radiation risks. Computed tomographic angiography, or CT scans, can also be used to diagnose AVFs. CT scanners use a series of x-rays and powerful computers to create detailed images of the brain and its blood vessels. In angiography, a special dye is injected through an IV line, and x-rays of the brain are taken at multiple angles in order to see the arteries within the patient’s brain. Angiography is usually performed by a specially trained neuroradiologist or neurosurgeon. How do we treat an AVF? Coil embolization is a minimally invasive procedure to treat an AVF by filling it with material that reduces the risk of bleeding. It is performed from within the artery through a steerable catheter inserted into the blood stream at the groin and guided to the brain. Tiny coils or other small implants are used to promote clotting and seal off the abnormal connection between the arteries and veins. The goal of endovascular coiling is to isolate an AVF from the normal circulation without blocking off any small arteries nearby or narrowing the main vessel. 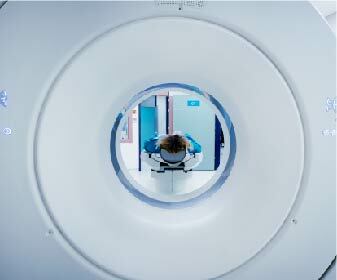 These procedures are performed with the use of cerebral angiography.